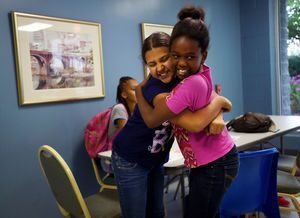 Building strong academic foundations for Lynchburg’s at-risk youth. The YES Program rolls five individual programs (After School Tutoring Program, Summer Tutoring Program, Young Men’s Mentoring Program, Girls Empowered for More Program, and the Reading and Learning Intervention Program) into one program for measuring goals, results, and success. The After School Tutoring Program provides tutoring services to all Jubilee children after school, including homework tutoring, remedial instruction when necessary, a Math Clinic, and report card monitoring. During the Summer Tutoring Program, every child enrolled in Summer Enrichment Camp is required to participate in Standards of Learning (SOL) Prep sessions every afternoon. 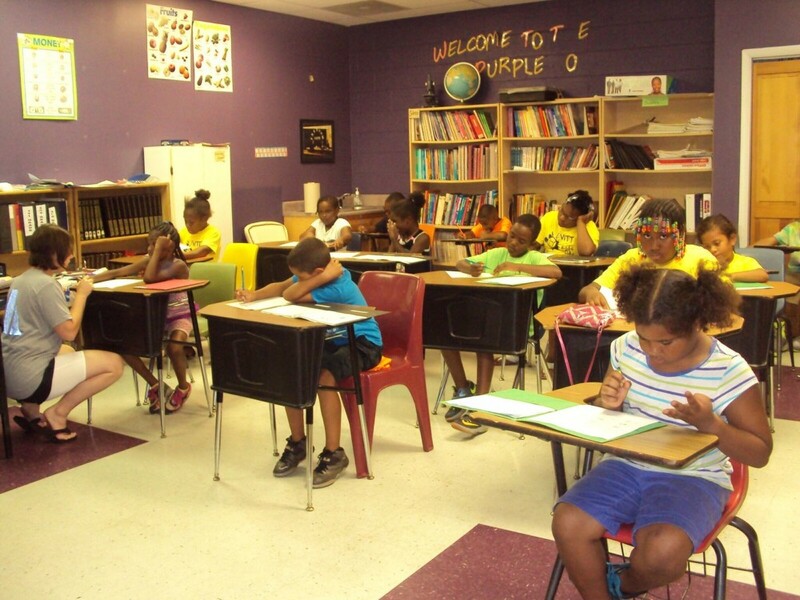 This prepares campers for the yearly SOL exam measuring academic achievement, and helps prevent summer learning loss. The Mentoring Programs include Building Young Men Program and Girls Empowered for More (GEM) Programs. The Learning Intervention Program. The Reading and Learning Intervention Program strengthens literacy and comprehension skills for 1st – 3rd graders through personalize one-on-one instruction. 100% of graduating seniors from the YES program enrolled in higher education. Fourteen children (targeted 1st through 3rd graders in need of remedial instruction, plus several 4th and 5th graders that need remedial instruction as well) are enrolled in the Reading and Learning Intervention Program. Each student receives personalized instruction to strengthen literacy and comprehension skills. After-School Tutorial Program –The After-School Tutorial Program offers children a safe and quiet place to do their homework and study with the help of Jubilee staff, volunteers, and mentors. Children in the program benefit for a Homework Lab, Computer Lab, Tutorial Sessions, Reading Incentive Program, SAT Prep, Standards of Learning (SOL) Prep, and College Tours during school breaks. 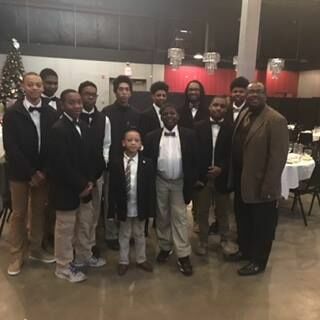 Building Young Men Mentoring Program – Jubilee Family Center and the Alpha Phi Alpha Fraternity partner to offer a mentoring program for young men that begins annually in September and continues every second and fourth Saturday through June. The joint venture is targeted to ages 8 to 18 with an objective to help build self-esteem, improve academic performance and encourage students to complete high school and pursue a higher education. The program also focuses on increasing social awareness and developing problem solving skills in order to make more responsible decisions. Program topics include Manhood, Dating Relationships, Family Values, Self-Esteem, Healthy Eating and Fitness, as well as Career Goals. The sessions are held at the Jubilee Center, 1512 Florida Avenue from 11:00 a.m. to 1:30 p.m., and transportation is provided. In addition to the programs, special recreational activities are also scheduled, as well as college tours which are underwritten by Genworth. To register, contact Sterling Wilder at 434-845-0433 or e-mail swilder@jubileefamily.org. Girls Empowered for More (GEM) Mentoring Program provides young ladies with opportunities to address issues concerning the transition from girlhood to womanhood. During the program topics such as unity , leadership, cultural diversity, self-esteem, communication, and peer pressure are discussed in hopes of building morals, values and character. Objectives of the program are to create an atmosphere where self-love, self-respect, and self-reliance can help participants build a unified community through healthier relationships with their peers and families. The program will strives to improve academic performance, encourage students to complete high school and pursue education beyond the high school level, and increase social awareness and problem solving skills to enable participants to make responsible decisions. It is open to girls ages 8 – 18 and is held on the second and fourth Fridays of the month at Jubilee. To register, contact Sterling Wilder at 434-845-0433 or e-mail swilder@jubileefamily.org.